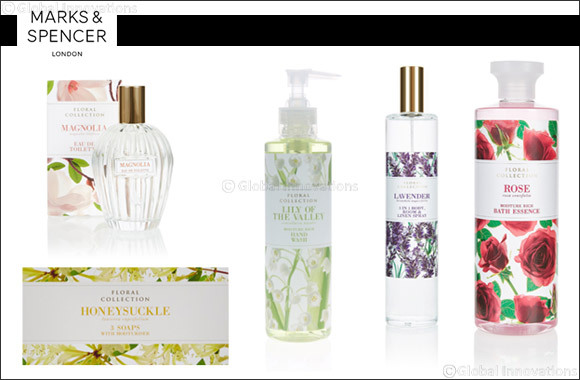 Dubai, UAE, March 13, 2019: This Mother's Day celebrate mothers and motherhood with heart-warming beauty products from Marks & Spencer's Floral Collection. This luxurious collection captures the essence of her favourite fragrances in its bath and body range. With traditional scents such as lavender, rose and magnolia, the products will leave her skin cleansed, soft and delicately fragranced. Your mum will be left feeling truly loved and pampered this Mother's Day with Marks & Spencer's beauty range.